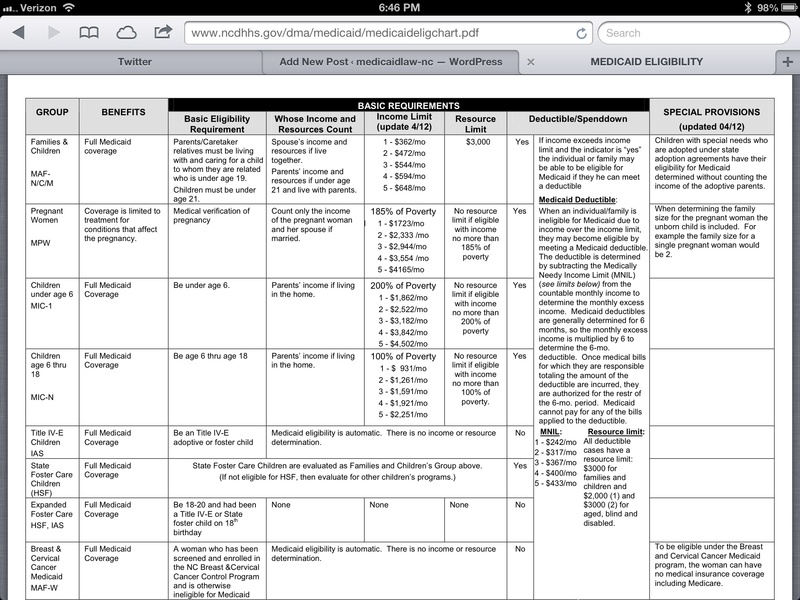 Medicaid Jurisdictional Questions? Answer is OAH, OAH, OAH!! Say you disagree with being placed on prepayment review or undergoing a post-payment audit. In what venue do you have to legally pursue the claim? Right now, some DMA-contracted companies are claiming that OAH does not have jurisdiction over them. In fact, I even have an Order signed by a Judge directing the contracted company to act, yet the company argues that OAH has no control over it. 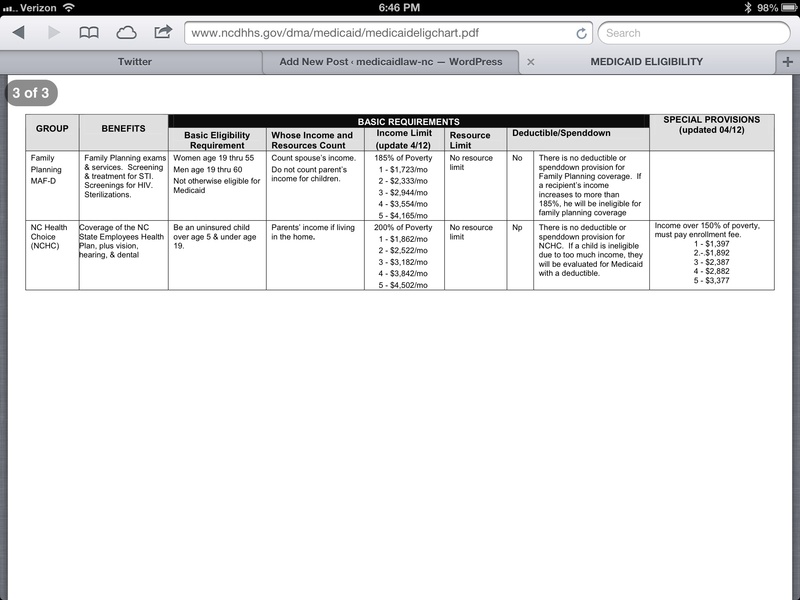 However, the State Plan states differently…. The Office of Administrative Hearings (OAH) has jurisdiction (meaning OAH can hear lawsuits against) state agencies. “Agency” is statutory defined as an agency or an officer in the executive branch of the government of this State and includes the Council of State, the Governor’s Office, a board, a commission, a department, a division, a council, and any other unit of government in the executive branch. A local unit of government is not an agency. The state court system, instead is for civil actions. The district court division is the proper division for the trial of all civil actions in which the amount in controversy is ten thousand dollars ($10,000) or less; and the superior court division is the proper division for the trial of all civil actions in which the amount in controversy exceeds ten thousand dollars ($10,000). Whether you are required to proceed legally at OAH or state court will impact your claim A TON! To serve the citizens of North Carolina, with quality and efficiency, by providing an independent forum for prompt and impartial resolution of administrative law contested cases involving citizens and state agencies; investigating alleged acts of unlawful employment practices in state government; functioning as the State’s codifier and publisher of all administrative rules; and reviewing rules before the Rules Review Commission. Daily, OAH decides cases against the state government. Therefore, the judges at OAH are intimately involved in state legislation and the state governments limits. Also, OAH is a much faster process. A Contested Case Hearing filed in OAH will be heard in months (a preliminary injunction, even quicker); whereas a complaint filed in Wake County Superior Court may not be heard for years (it may be faster or slower in rural areas. I just don’t know). From my cursory explanation of OAH, it would appear that any Medicaid issue against the state government would automatically be heard at OAH, right? Well, recently, I have encountered a number of Division of Medical Assistance’s agents arguing that (1) these agents are not agents, they are independent contractors; and (2) that OAH does not have jurisdiction over the agents. So what if you have a legal disagreement with an MCO? State court or OAH? So far, all MCOs have declared themselves to be out of OAH jurisdiction. However, remember my blog, “Final Agency Decision No Longer Needed in Appeals” from March 5, 2013? If not, feel free to go back and read it. The point is, unless North Carolina receives a specific Waiver from the federal government, NC must follow federal law which requires a single state agency to administer Medicaid. If OAH is allowed a final decision, then, in essence, another entity is deciding a Medicaid issue. So, is NC in violation of federal law? Well, yes, as to other federal laws, but not in this case. NC submitted a State Plan Waiver, which was granted on December 27, 2012. According to the Waiver, it does not matter if the MCO is a contractor or agent. Either way, OAH has jurisdiction. Undergoing a Medicaid audit can seem overwhelming, to say the least. I mean, the Department of Health and Human Services (DHHS), Division of Medical Assistance (DMA) has these Recovery Audit Contractors (RACs) reviewing Medicaid claims going back years. If you have to pull the DMA Clinical Policy from 2007 in order to determine your compliance then the RACs are going back too far, right? There has to be a statute of limitations or statute of repose, right? RACs are prohibited from identifying overpayments on claims more than 3 years from the date the claim was paid. There is also a hard look-back limit of October 1, 2007. HOT TIP: If you have a Tentative Notice of Overpayment, check the dates you were paid for the claims. My question is: Who or What entity is supervising the RACs to ensure no claims are recouped from more than 3 years ago? If the provider does not know the 3 year limit, is the RAC self-enforcing itself? Well, at least everyone reading my blog is knowledgeable now. Also, RACs must comply with all reopening regulations found in 42 C.F.R. 405.980 (2008) because, in essence, these RACs are reopening claims that already were authorized, paid for, and done. The regulations require that if a RAC reopens a claim more than 1 year after it was paid, then the RAC must show good cause….AND….document such good cause. How many providers have asked the RACs to show the documented good cause for claims paid over one year ago? Now you know you can…and should! Claim Audit Findings (CAF). It even sounds scary. Not to mention, if you receive a CAF, it means that you have been audited by the State or an agent thereof (which, in it of itself, is a scary process). So seeing a CAF does not make you happy. But it helps if you understand what the CAF is and, more importantly, is NOT telling you. This particular CAF was drafted more recently (the review was conducted March 2012, but this CAF was not drafted until much later). I have seen earlier CAFs handwritten. For the sake of this example, we are reviewing a CAF for 16 units billed for Community Support Team. Regardless of the type of health care service, the CAF will be on an identical form or very similar. At the top of the CAF, you have all the information you need to pull the particular file to compare your file to the CAF. The Medicaid recipient’s name, date of birth, and Medicaid number is listed. Most importantly, the date of service (DOS) is listed. No matter how many times you provided services to this recipient, the DOS on the CAF is the only DOS that matters. However, word of caution, most of the time, you will receive 2-10 CAFs for one particular client for 2-10 DOS. All the DOS matter in that case. Moving to the middle section of the CAF, you can see on the left side, the CAF reads either “administrative” or “clinical.” The middle of the middle (nice explanation, huh?) has a question. Then the right side (of the middle section) has “Not Met/No,” or “Yes/Met,” etc. I will go through each type of administrative or clinical topic. The bottom of the CAF supposedly details more specifics about each topic. Although I will show you how unhelpful the explanations are. In fact, the only helpful part of the bottom section is the fact that it shows you which year’s Clinical Policy the auditor used (as in which date. Since the policies have been revised so many times, the auditor frequently uses the incorrect policy. It is important to have the policy in front of you that was in place for the particular DOS). Ok, the topics on the CAF (the middle section of the CAF). The topics are divided between administrative and clinical. Administrative issues are (seemingly) objective; are the documents in the file? Clinical issues are more subjective, such as was there a demonstration of medical necessity and were the service notes adequately written (apparently these auditors believe that every provider should also be an ametuer novelist). Let’s go through the administrative topics. “Is there an authorization in place covering this date of service?” This is just a matter of did the Medicaid auditor review an authorization in the file at the time he or she reviewed the file. Even if you had a valid authorization in place at the DOS, if the auditor did not see the authorization in the file ate the time of the audit, you will receive a “Not Met” for A1. Another reason I have seen “Not Met” under A1 is for services that do not require authorizations. The auditors apparently cannot figure out which services require authorizations and which do not. “Is there a valid service order for the service billed?” Again, the auditor looks in the file for a service order for the code billed. The “Not Mets” I have seen for service orders range from the signature on the service order being illegible; therefore, the credentials of the signator could not be assessed to the service order ordering one CPT code, while the service was a different CPT code. “Is there a valid PCP in place for the date of service billed?” Now, obviously, PCPs are used in Community Support Team (CST), but not in all areas of health care, not even in all areas of behavioral health. Nonetheless, I have seen CAFs require a PCP, even when a PCP is not required for particular service. I’ve also seen CAFs that read “treatment plan/PCP,” but the CAF will not inform you for which (a treatment plan or PCP) the auditor has been told to look. Many “Not Mets” are because of the confusion on the part of the auditors as to what documentation is actually required for a service. “Does the team meet staffing requirements per the service definition?” For A4, the auditors will actually look beyond the file (usually). As the onset of an audit you will be required to provide the auditor with all your staff’s credentials. Beware: Many, many times I have a “Not Met” for A4 because the auditor could not read the signature; therefore, the auditor could not determine which staff member rendered services, much less whether the staff member met all required credentials. But the auditor will not ask you whose signature is on the document; apparently, there is some rule somewhere in the world according to Medicaid auditors that signatures must be legible, because I sure as heck have not seen that rule. “Is there documentation that the staff is qualified to provide the service billed?” This is a tad different from A4. In A4, the governing criteria is the DMA Clinical Policy (whichever is applicable to the services you provide). A5 is more specific. If the staff member is providing substance abuse prevention, does the staff have the credentials showing that he or she is certified to provide substance abuse services. The qualifications required depends on the service provided. “Did the provider agency require disclosure of criminal convictions by staff person(s) who provided the service?” A7 is so poorly drafted. My high school English teacher would be appalled. This is a classic example of a sentence in the English language not doing its job (which is to communicate). Does the provider have to show the auditor that the provider has a written rule/policy that all staff members are required to disclose any criminal convictions? Or is the auditor actually looking for a criminal background check of all staff? A7 gives no guidance. If you go down to A7 in the bottom section (that we will talk about later) you see that no further guidance is given. So, you will just have to hold your breath in anticipation as to the answer until I get to the bottom section explanations. “Does the Comprehensive Clinical Assessment support entrance criteria, per the service definition?” C8 is the topic at which my blood begins to boil. Essentially, C8 is asking whether the Medicaid recipient meets entrance criteria for the service provided. Mind you, providers (unless prior authorization is not required for the specific service) cannot bill for a service unless there is prior authorization from DMA (or, more specifically, the contracted company that was reviewing prior authorization for the state…it was ValueOptions for behavioral health). So these auditors are reviewing services for recipients for which the provider already received prior authorization (meaning entrance criteria was met) from DMA or its acting agent and now, another contracted company, sometimes years later, is saying, “Hold on there. I know you already received prior authorization for this service, but in my subjective opinion, I disagree. I don’t think medical necessity was met; entrance criteria was not met.” I don’t know how many due process or fundamental fairness rules C8 violates, but, so far, C8 is still part of the Medicaid audits. “Is the PCP individualized for the person?” Remember, above I wrote that sometimes, for different services, C9 will read treatment plan/PCP. Regardless, if prior authorization is required for the service, the PCP was already reviewed before prior authorization was given. See argument for C8. “Does the Crisis Plan include the required elements per the PCP Instruction Manual?” Again, C10 may change depending on the service. But, regardless, if prior authorization is required for the service, the PCP, including the Crisis Plan, was already reviewed before prior authorization was given. See argument for C8. “Is the documentation signed by the person who provided the service within the designated timeframe?” This may be one of my favorites. Because you do not necessarily submit service notes for reimbursement daily, there are times that you submit multiple claims on one day. Maybe you have an electronic service note system that you draft all service notes then sign them all as you submit them. (This is only one example of many of the nonsensical results of C11). The auditors will claim that you must sign all service notes on the DOS. You will be told your service note is out of compliance if the dates of signature and service do not match. But my question is out of compliance with what? With the utopian laws of providing health care services? 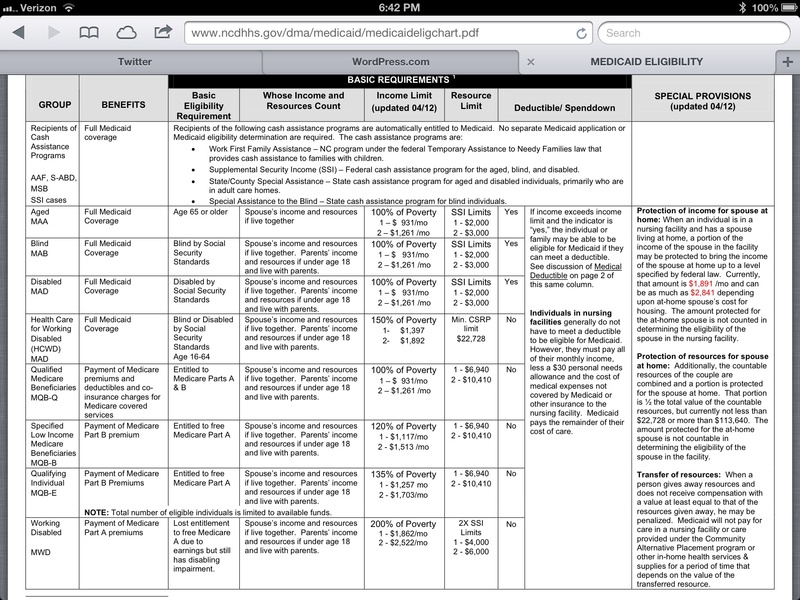 Certainly not out of compliance with the DMA clinical policy (that I have seen) or the Basic Medicaid Billing Guide. Nothing that I have seen states that providers must sign the service notes on the date the service was provided. The policies state the service notes must have the DOS and must be signed. Period. “Does the documentation support the units billed?” For this topic, the auditors are looking at the service note and trying to locate a “time in” and “time out.” Or a duration period noted on the service note. The issue with C12 that I have seen is that some CPT codes, not all, but some, have, in the very definition, the duration specified. For example, in Outpatient Behavioral Health services, 90834 (now) denotes 38-52 minutes of psychotherapy. Before January 2013, 90804 denoted 25-30 minutes of individualized therapy. If the definition of the CPT code defines the duration, why is there an additional requirement to physically write the time in and out on the service note? Apparently, the auditors know of a reason. “Does the service note relate to the goals in the PCP?” Again, C13 may change depending on the service. But, regardless, C 13 is asking whether the treatment plan or the medical objectives for the patient are germane to the activities on the service note. This is such a subjective determination. However, I’ve had auditors deem no germaneness when a goal for the recipient is improving relationships with non-family members, and the service note denotes that the therapeutic treatment was role-playing as if the therapist was a non-family member. Hmm. Germane? “Does the service note reflect assessment of progress toward goals?” C14 is similar to C13 as to its subjectiveness. Here, I have had auditors determine “Not Met” for C14 when the service note stated that the recipient is improving, but scared of consequences of result. Hmmm. Assessed progress? “Are the interventions in the service note individualized per person and reflective of the service definition?” What? How are services for a specific individual not “individualized?” What the auditors are not telling you in C15 is that the auditors are looking for service notes that appear to “cut and pasted” from prior service notes with minimal changes. Apparently the auditors believe that if you provide one hour of therapy to a Medicaid recipients that that specific goal was met and that at next therapy session you can move on to the next goal. Apparently, you do not have to work on one goal more than once. “Do the units documented match the units paid?” This is an administrative topic, but basically, mirrors C12. Ok, there are the topics and my 2 cents worth on them. Going to the bottom section of the CAF, I believe I discussed most of the issues in the bottom while I was describing the middle section. But for example, in bottom section C7 (of which you have so calmly awaited the explanation), “no employee information” submitted means (in auditor language) the auditor did not see a criminal background check prior to DOS. wouldn’t it be so much easier if the explanations found in the bottom section actually stated what document was actually needed? Or, for example, in bottom section A5, the auditor may not necessarily be saying that no staff information was provided. 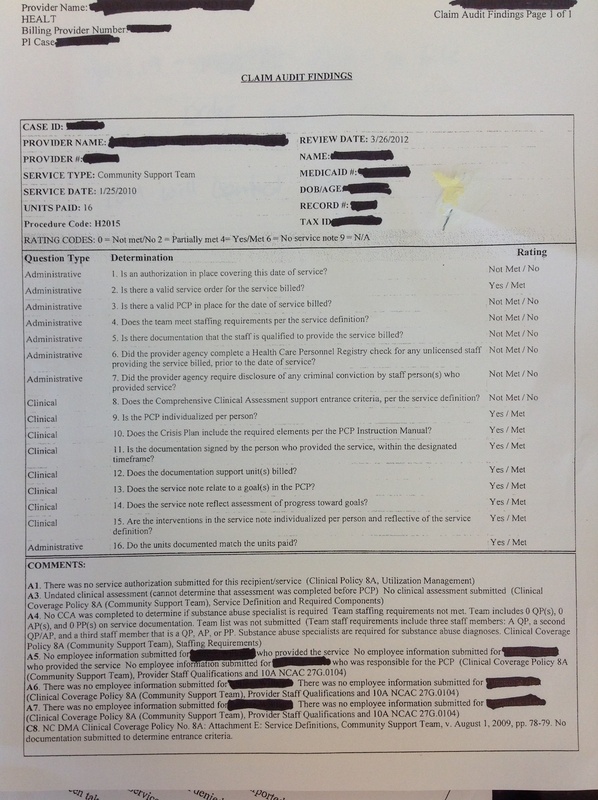 A5 may actually mean that either (1) the auditor could not read the staff’s signature; and, therefore, the auditor could not determine whether the qualifications had been submitted; or (2) the service note was not in the file at the time the auditor reviewed the file, so the auditor cannot determine which staff member conducted the service. But it is up to you to decipher. Or, for example, in bottom section C8, when the auditor writes that no documentation submitted to show entrance criteria was met, the auditor is actually saying that, at the time the auditor reviewed the file, the file did not contain either an assessment or initial intake or referral or something to show the diagnoses of the patient. However, it is interesting to note that during the audit of the file, if a provider tries to supplement the file with documents for which he or she knows the auditor is looking, the auditor refuses, saying that he or she can only review the file. But C8 can mean that, in the subjective opinion of the auditor, that the documentation provided does not meet entrance criteria, or it can mean that the auditor does not have a full understanding of the entrance criteria, or it can mean that a documents proving entrance criteria was accidentally misdated. C8 can mean a plethora of different scenarios; none of which are explained in the “explanation” of C8. So, there you go, Claim Audit Findings 101. Surely, you have no questions; it’s so easy!! For anyone interested, the Triangle Business Journal, is hosting a Health Care symposium discussion, which will mainly revolve around the issues affecting employers, health care providers, insurance and benefits consulting companies as everyone gets ready for the implementation of federal health care law in 2014. I am sitting as a panelist for the discussion. How will the upcoming health care changes affect small businesses and their employees? Join us to find out! For more information on how your company can sponsor one of our events, please contact Danielle Campbell at dcampbell@bizjournals.com or 919-327-1032. How will the upcoming changes affect small businesses and their employees? The symposium discussion will mainly revolve around the issues affecting employers, health care providers, insurance and benefits consulting companies as everyone gets ready for the implementation of federal health care law in 2014. Join Triangle Business Journal as a panel of experts discuss these very important changes in the health care rules that could have a profound impact on our economy. Since this blog provides me with the unique perspective to review the search engines that people are using when they find my blog, I have noticed that many people are just trying to out whether they are Medicaid eligibile. They hear about Obamacare expanding Medicaid to more recipients and they want to know whether Obamacare applies to them. Obamacare (as it applies to Medicaid eligibility due to expansion under the Affordable Care Act (ACA)) does NOT apply to NC as of yet. There is a chance NC will expand if we can reform the Medicaid system we have now. More Audits, Less Health Care Providers Who Accept Medicaid! In my profession, I come across so many health care providers…of all sorts….dentists, psychiatrists, speech therapists, general practitioners, etc. Many of these providers and most of my clients, despite the audits, despite the immense paperwork, despite the low reimbursements, despite the lack of communication with the Division of Medical Assistance (DMA) and all agents, most providers still want to serve Medicaid recipients, even after the horrible events the providers are dragged through. These potential clients were quality health care providers. Like so many other providers, these potential clients committed no fraud. All they did was provide quality health care services to Medicaid recipients and fell victim to paperwork nitpicking by DMA and agents (Managed Care Organizations (MCOs) and Recovery Audits Contractors (RACs)). Recently, I have watched Gov. McCrory and Director Wos in interviews. I seem to remember Director Wos saying, in an interview, that she wanted North Carolina to be the best place for providers to practice health care and accept Medicaid. I think, if memory serves me right, that part of making providers want to accept Medicaid recipients in NC, would be to not harass providers by conducting audits in a an erroneous manner (by contracting out to minimum wage, non- knowledgeable “contractors”), would be to not terminate Medicaid contracts without due process and without real cause, would be to not cause quality health care providers to force Medicaid recipients to be discharged from care. If Gov. McCrory and Director Wos truly want to make health care providers want to accept Medicaid in NC, (which I actually believe) then what about what is happening right now?? I understand that, in the future, providers may be happy in NC, but, right now, providers are losing their businesses because of ridiculous audits with ridiculous outcomes. We are worried about providers NOW. I beg of all politicians with pull to save these Medicaid providers, please use that pull now. One week from now, 3-9 providers could be out of business. Two weeks from now, 6-18 providers could be bankrupt. Worry about now. Fix now. Help these providers, before these quality providers go out-of-business. Fear Prevents Medicaid Providers From Fighting DMA: Fear of Retaliation? “Why didn’t you call me January 2012? What I did NOT say: You were scared of retaliation by DMA when you were wrongly terminated from your Medicaid contract, your company was forced to file bankruptcy and dissolve, you, personally, lost your livelihood, your company, and your self-worth, you were forced to terminate all staff, and all Medicaid recipients were forced to be discharged???? What else could possibly happen? Maybe DMA could’ve kicked your dog. Most health care providers view their roles in society as helping people. The thought of hiring an attorney is against the providers’ very core being, like rubbing a shark against its grain. Yet, the fact is that the government is not always right. The government’s contracted companies are not always right. Or even better, the way the employees hired by the contracted companies complete their tasks is similar to playing “phone” in grade school. The employees hired by the contracted companies get their work orders from supervisors hired by contracted companies, who, in turn, get their work orders from someone else hired by the contracted companies, and so on. The hierarchy of order creates a distorted work order. But 20 people down the line, you have Ms. Sweet (fictional) from the Carolinas Center of Medical Excellence (CCME) getting paid $10/hour going to providers’ offices with her standing orders as she understands them as “Always follow DMA policies. When in doubt err on the side of the State.” It’s not Ms. Sweet’s fault that the audit is conducted incorrectly, but, regardless of fault, the audit is conducted incorrectly. I have a saying (that I just made up) In Medicaid, your fear of the unknown coupled with your nonaction will cause all those fears to come true. Standing still in the face of Medicaid unknown allows DMA (or whatever contracted company) to decide your fate without hearing your side. If you think DMA or PI (or whatever entity) is listening to your side, then, at the very least, take copious notes of all conversations, write memos to the file regarding conversations, and prepare for the worst. In my experience fear of DMA does nothing except create negative consequences. So instead of blissfully following PCG or CCME or HP Enterprises (the Recovery Audit Companies)’s audit requirements and receiving denial after denial (despite your knowledge that the documents were in compliance), don’t wait until your Medciaid contract is terminated. Be proactive. Shake off your fear of retaliation by DMA. Buck up. The only thing to fear, is fear itself. Put on your big boy pants. Stand strong. Don’t get run over. Put on your dancing shoes. Get a stiff upper lip.